There have been a lot of really great games to hit the shelves lately. Whether you play your games on PC, Xbox, or Playstation you are sure to find a bunch of great titles to fill your gaming needs. 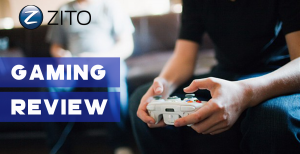 We’ve decided to cover just a few of the games coming soon in this Fall Gaming Review. Some are annual power houses, a long awaited returning favorite, and even some new blood. The summer is almost over and once again you’ve found yourself so bored you can’t even pull yourself off the couch to find some food in the fridge. Not to worry! 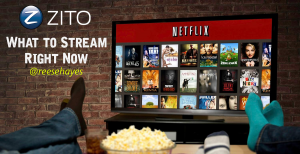 Here are some awesome recommendations for what to stream RIGHT NOW on Netflix! Everyone loves Netflix. The problem is, no one loves spending half an hour searching for a movie or TV show that’s worth your time. Well, look no further, fellow couch potato, because here’s a great movie AND TV show on What to Stream Right Now! NIGHTCRAWLER – Dir. Dan Gilroy (2014). Nightcrawler was one of those movies last year that really blew everyone away. No one expected it to be as entertaining as it was, especially from a first time director. That being said, Jake Gyllenhaal steals the show as always. Gyllenhaal plays the disturbingly creepy, Lou Bloom, who’s willing to do whatever it takes to make some money and a name for himself. He finds work roaming the city streets of LA, capturing videos of accidents and crimes to sell to the local news stations. As you would expect, this turns into an odd obsession, leading to Bloom making some rather perturbing decisions in order to further his new career. His chilling character is supported by a great cast including Rene Russo, Bill Paxton, and Riz Ahmed who plays Bloom’s young “assistant”, Rick.